March is all about drawing and painting (while continuing the sculpture). My drawing teacher G. L. Sussman (Gary) told me to draw everything. 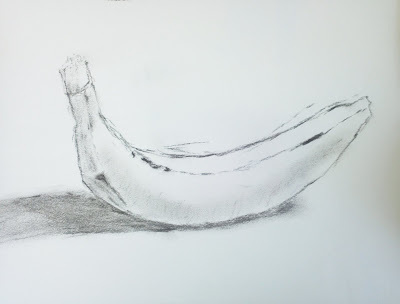 So I drew this banana. I will share with you some of my drawings from class in a later post.